Service Number ‘426921’ – Canadian Infantry, 3rd Bn. Died of wounds on 9th September 1916 aged 22 at 44 Casualty Clearing Station after a shrapnel wound to the head. 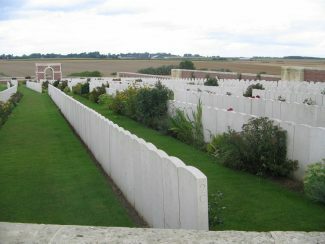 Buried at Puchevillers British Cemetery in France. Son of John Fenton Richardson and Ada Lizzie Richardson of Laindon Common, Billericay. 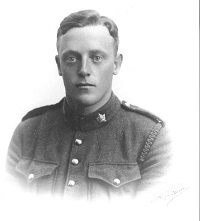 John had emigrated to Canada before the war and enlisted in Canada. Also commemorated on the St. Mary Magdalene Memorial Great Burstead, the Little Burstead War Memorial and the Holy Redeemer Memorial. John was my Gt Uncle, the 2nd son of my Gt Grandfather, John Richardson of Frith Farm, Laindon Common. His eldest brother Guy was a Major in the 22nd London’s and survived the Gt War. His two younger brothers served in WW2, in the RAF and London Scottish. The Richardson family is very pleased to see him remembered. You can find his full story by clicking here.